Google recently announced it’s newest ad type, Shoppable Images, right in time for the holidays. Early adopters of Shoppable Images are likely to reap significant and meaningful benefits for their brand. Social media has forever altered the way consumers search and shop for products online. According to Gartner’s “Social Platforms & Influencers 2018” report, roughly 66 percent of the 424 brands studied have included social commerce features into their omnichannel efforts within the last 12 months. This shows a definite uptick in the number of online businesses aiming to generate sales via social platforms. 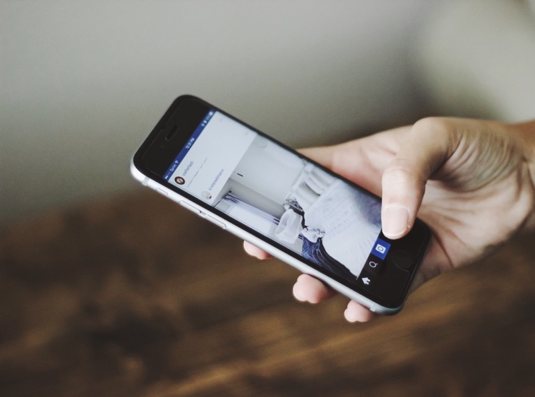 Moreover, the same report detailed that as more social networks begin to offer commerce-focused features, more than 41 percent of the brands have chosen to adopt increasing amounts of shoppable content from platforms like Instagram. Meanwhile, more than half of the brands included in the study have opted to begin utilizing Facebook’s “Shop Now” page button – a feature that links a company’s e-commerce storefront to the social platform in a seamless manner. The boundaries between e-commerce and social media continue to blur as the trend of social commerce becomes increasingly pronounced across platforms. For instance, Instagram recently introduced the concept of shoppable product stickers for Stories, which enable brands to tag specific items featured in Instagram Stories. This new feature comes just months after the announcement of the company’s shoppable posts. Meanwhile, Snapchat is aiming to transform its platform into a one-stop e-commerce destination. However, social media giants aren’t the only ones looking to cash in on the trend. Google recently announced the addition of a new ad type in the company’s growing repertoire of adverts: Shoppable Images. When using such an ad type, retailers will be able to create image ads that are labeled as “sponsored” and will display a price tag icon in the lower left corner that reads, “shop this style.” Upon clicking the icon, users will be presented with a carousel of products from third-party advertisers comparable to those featured in the image. If shoppers click one of the featured items, they will be taken to that retailer’s web store. The left image above depicts what a Shoppable Image ad will look like on a publisher’s site. The mockup on the right details how such an integration might look when applied to Google Image search, as the company has plans to do next year. This new and compelling ad format presents merchants with an incredible opportunity to get their products in front of qualified consumers right before the holidays hit in full force. This methodology can be monumental for many stores considering that many holiday shoppers have not yet decided what items they will purchase. As it stands, Shoppable Image ads are available to post on a select number of publisher websites, with Google anticipating increasing the group over the next year. If the social media monetization trends aren’t convincing enough, it’s important to note precisely how effective Google Shopping ads are for e-commerce advertisers. These stats show what an incredible opportunity these ads are for retailers who become early adopters as doing so is likely to increase revenues significantly. While Google’s new Shoppable Image ads will undoubtedly be an incredibly useful tool for e-commerce advertisers, merchants still need to understand their audience when publishing such adverts. It is up to retailers to study the information on styles, preferences, past purchase data and other important metrics to determine how to effectively target qualified consumers during the holiday season. This research means that sellers who aim to leverage Shoppable Images ads should not only strive to display content that is relevant to the image, but also to audience inclinations and desires. Moreover, it is essential to remember that increasingly more shoppers are seeing ads (and making purchases based on those ads) from mobile devices. Keep this in mind when creating Image ads as the more the audience is considered and assisted in their needs, the higher the chances of earning a sale. This ad type is all about assisting shoppers (as opposed to informing them). Therefore, Shoppable Image ads should seek to support consumers in relevant ways that help them eliminate much of the friction in the shopping process. As today’s consumers continually demand increasingly personalized, relevant and engaging shopping experiences, Google will strive to prove exactly that. 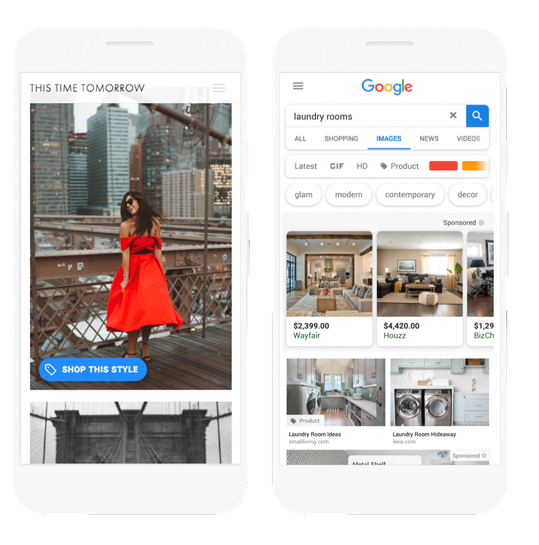 With the introduction of Shoppable Image ads, Google is effectively improving the shopping experience for consumers and providing merchants with new avenues to get their merchandise in front of qualified prospects. Become an early adopter of this new Google ad type and your brand will likely reap significant and meaningful benefits. Published on 11/13/2018 by Ronald Dod.